Our course equips students with the knowledge of whole systems and the principles, techniques, and challenges of permaculture as a system of sustainable design. Our learning community explores design topics such as soil regeneration, water conservation, building ponds and swales, managing wood lots, building natural and efficient homes, utilizing renewable energy, and designing gardens. Our students follow a traditional permaculture curriculum with a bias toward the northeastern temperate climate. We teach though presentations, case studies, student design projects and hands-on design exercises. The course includes 84 hours of instruction plus a design practicum. Instruction is augmented by presentations from local experts, field trips, and games. This summer, learn to design for abundance in the beautiful Finger Lakes of New York. 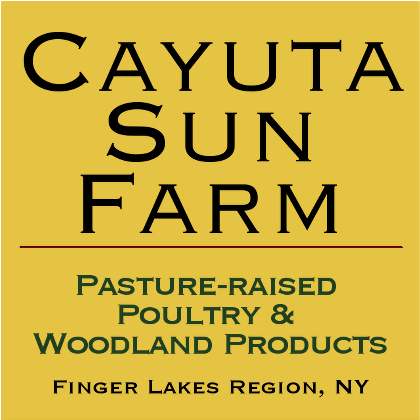 Our off-grid course is held at Cayuta Sun homestead (http://cayuta.org), just 15 miles from Ithaca.